To meet the precise demands of clients, we manufacture and supply a wide range of PLC Controller. These are acclaimed for their precise designs, durability and longer functional life. Based on best available technologies and following international standards and norms, these systems are widely demanded by various clients. Clients can avail these systems in various technical specifications. We offer to our clients Motion Controller that is precision engineered and match with the set international quality standards. 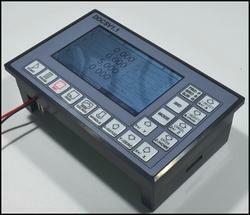 It is equipped with the man machine interface and helps in communicating data to PLC and the operator. Our range of Motion Control PLC's can also be availed in customized form depending on the requirements of the clients.